Address: Walkden Road, Worsley Park, Manchester M28 2QT. SARAH and the rest of Marriott’s specialist Wedding Events team will be available to show you around our various function suites and discuss all your wedding requirements. Also present on the day for your convenience will be a hand-picked selection of the areas bespoke wedding suppliers For you to discuss any individual requirements that you may have for your special day.., including Bridal Wear, Menswear, Cakes, Stationary, Make-up, Flowers, Chocolate Fountains, Candy Carts, DJ’s Live Bands, Venue Dressers, Photographers, Video, and also The Multi-Award Winning Horgans Wedding Cars. The hotel is registered for the solemnization of Civil Ceremonies offering a modern alternative to the formal church or registry office. Worsley Park is set within 200 acres of beautiful parkland with its own 18 hole championship golf course, and is situated only minutes from the motorway network and seven miles from the heart of Manchester city centre. 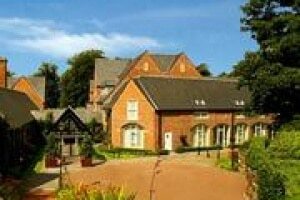 Worsley Park’s accolades include an AA rosette award winning restaurant, as well as the prestigious Manchester Tourism Award for Large Hotel of the Year 2008 succeeded by England’s North West Large Hotel of the Year 2008. This Event is organised by Worsley Marriott’s events team.